Close to 71.24 crore mobile numbers - both new connections and existing - and 82 crore bank accounts have been linked with 12-digit biometric identifier Aadhaar, the Rajya Sabha has been informed. NEW DELHI: Close to 71.24 crore mobile numbers - both new connections and existing - and 82 crore bank accounts have been linked with 12-digit biometric identifier Aadhaar, the Rajya Sabha has been informed. "Linking of Aadhaar with personal bank accounts is being done based on the amendments that have been effected in the Prevention of Money Laundering Rules 2005. 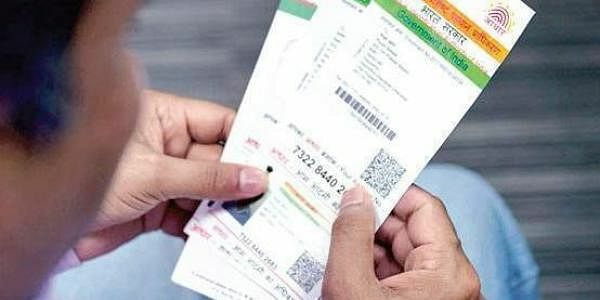 Linking of Aadhaar with mobile number has been effected in pursuance of...Supreme Court order dated February 6, 2017," Minister for Electronics and IT, Ravi Shankar Prasad has said. Prasad further said: "As on December 8, 2017, 71.24 crore mobile numbers (new and re-verified) and 82 crore bank accounts have been linked with Aadhaar." The Aadhaar based re-verification of existing mobile subscribers is expected to be carried out by telcos by March 31, 2018, Prasad said in the reply dated December 22, 2017.